The internecine pitch battle between ECB President Draghi and the man who may very well be his successor, Bundesbank President Weidmann opened a new front this week. It is over the future of the 500 euro note. Practically, every initiative by Draghi has been resisted by the Bundesbank. Sometimes it puts the Bundesbank at odds with Berlin, like over the Outright Market Transactions (OMT), which has not been operationalized. Still, after unsuccessfully blocking the program, Weidmann provided testimony in a case before the German High Court, seeking an injunction against the ECB. Draghi prevailed. Ahead of the March 10 ECB meeting, where Weidmann is resisting Draghi's call for more action, a fresh dispute has arisen. Draghi has indicated that the ECB is looking at phasing out the 500 euro note on grounds that it aids criminal activity and possibly terrorism. Weidmann argues against this on grounds that it sends the wrong message at a time when the ECB is imposing negative interest rates. There are some who will see the abolition of the 500 euro note as part of a larger effort to drive out cash entirely. This seems more like a marketing problem than one of substance. 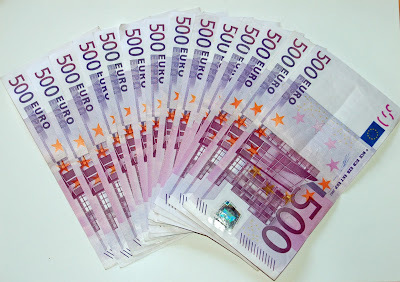 For example, the 500 euro note accounts for almost 30% of the notes in circulation by value or some 306 bln euros. If the ECB said it would replace the 500 euro notes with proportionally smaller denominations that may help ease concerns. Among the smaller denominations, note the there is a 200 euro note to which Draghi has drawn attention. There seems to be another consideration. In orders to crack down on illegal activity, including tax evasion, many countries have introduced caps on cash payments. 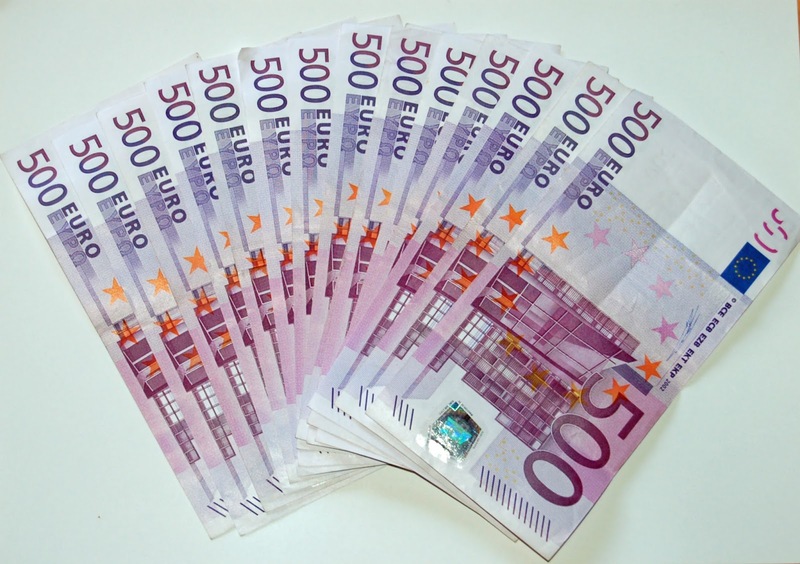 The German Finance Ministry recently announced a 5000 euro cap on cash transactions. In contrast, the Swiss have rejected limiting cash transactions to 100k limit on anonymous cash transactions. The combination of the potential removal of the large euro bill note and caps on cash transactions stirs concern about the intentions and reach of government. That is the signal below the noise. However, liberty does not reside in denominations of local currency. The British do not have less liberty because the largest note in circulation is 50 quid. The Swiss do not enjoy more liberty because they have access to a 1000 franc note. At a time when many are being asked forced to tighten their belts, can we really begrudge the sovereign for making it more difficult to evade taxes? The Austrian Deputy Economic Minister asserted "constitutional right to cash." It is not clear the legal basis for this claim, but there is no sign that government are truly moving to a cashless economy though coins and notes in circulation are a very small part of overall money supply. In a relatively small country, that is technologically savvy, and where social trust is high, like Sweden, it is possible to envision lower demand for cash. In fact, coins and notes in circulation in Sweden has reportedly fallen by about 5% a year on average for the past five years. Lastly, the idea that a government, which presently has a monopoly on money (sorry Bitcoin, though allowances for the eurozone), would abandon its position seem unrealistically from a political point of view. If the desire for cash (means of transaction, store of value, unit of account) still existed and that government withdrew its supply, then it would emerge in a different form. When soldiers in Germany after WWII needed none when none of value existed, they did not resort to what Keynes called the Barbaric relic (gold) but to something eminently more efficient and desired: cigarettes. Wherever liberty resides, it is not in the high denominations of currency in circulation or the ease to which taxes can be evaded. However, the mistrust of government and the elites is palpable, and the full political ramifications may not have been seen. At the same time, the prospects of Weidmann succeeding Draghi at the head of the ECB is indeed a cause for pause and reflection.